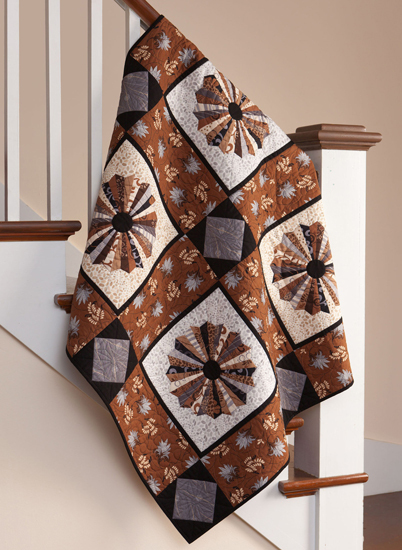 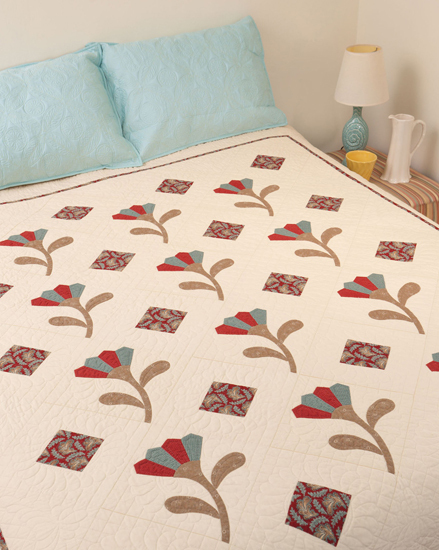 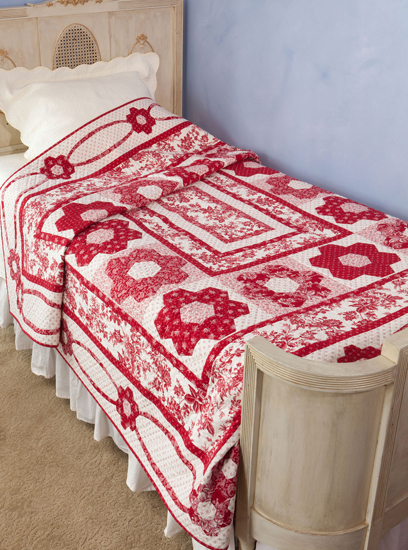 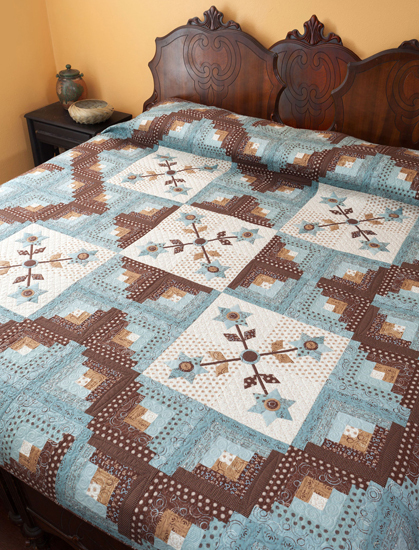 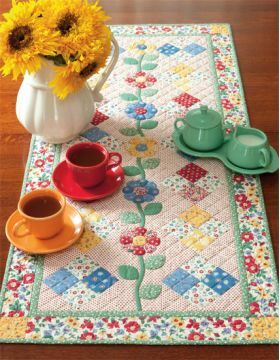 Vicki Bellino, author of the popular Bloom Creek Quilts, presents a delightful selection of English paper-piecing quilt patterns. 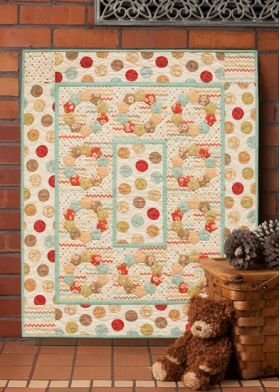 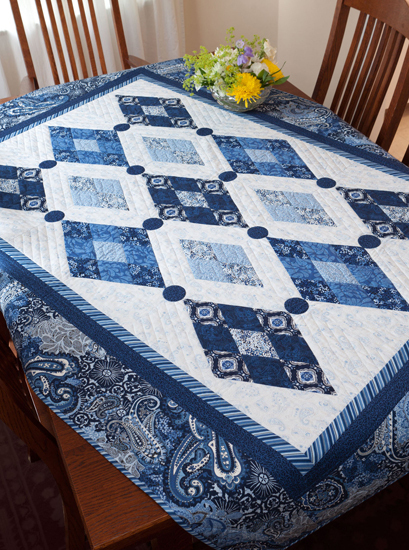 Using gorgeous pieced elements as appliques, Vicki eliminates the tedium and opens up exciting new design options. 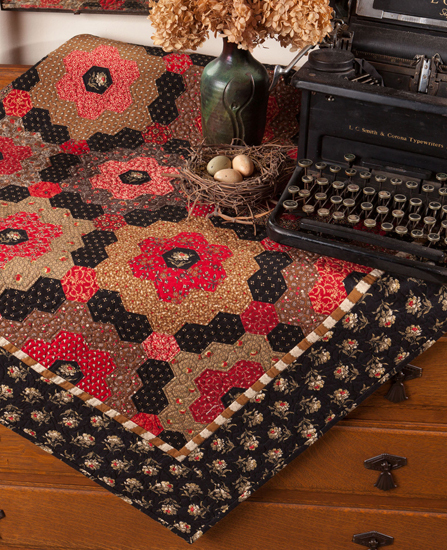 Everything old is new again, and it seems sometimes as though the quiltmaking world has gone hexagon mad. 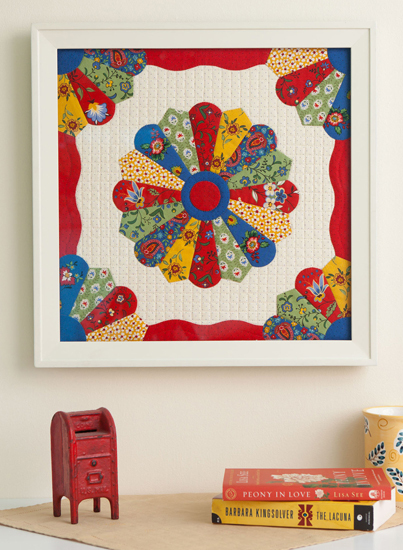 Indeed, not just hexagon mad, as today's quiltmakers use the classic English paper-piecing technique to join a wide variety of shapes. 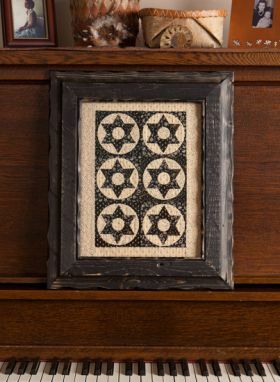 This revival of interest in a technique that almost always involves a significant amount of preparatory work followed by hours of hand stitching may seem odd. 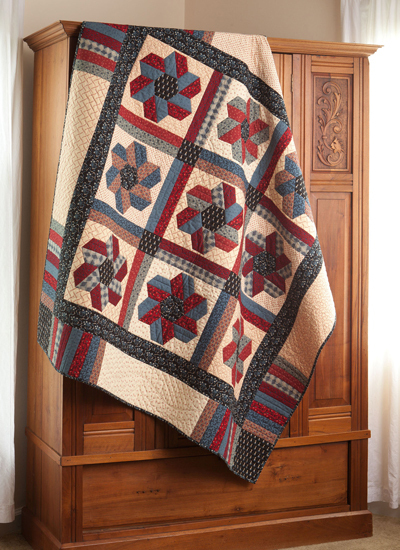 After all, at the other end of the spectrum, there's the trend to modern quiltmaking, with large, simple patchwork quilted by machine so that quilts can be finished faster than ever before. In the introduction to her book, Vicki explains that she first learned English paper piecing when she ran out of hand work on a long road trip and was looking for some stitching to occupy herself with. 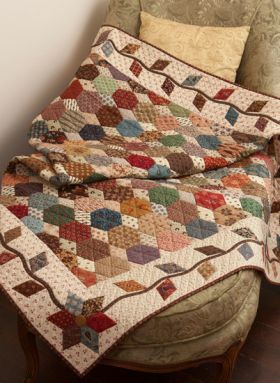 After a quick stop at a quilt shop for supplies, she cut and basted more than 100 large diamonds on that trip and hasn't stopped since! That said, she also acknowledges that she doesn't have time to make all that many quilts entirely by hand, so in the book of 12 projects she's also included some where she's combined the technique with machine piecing and appliqué. That makes this mix of projects particularly appealing, as you can decide on the amount of paper piecing you'd like to do and choose a project to match. 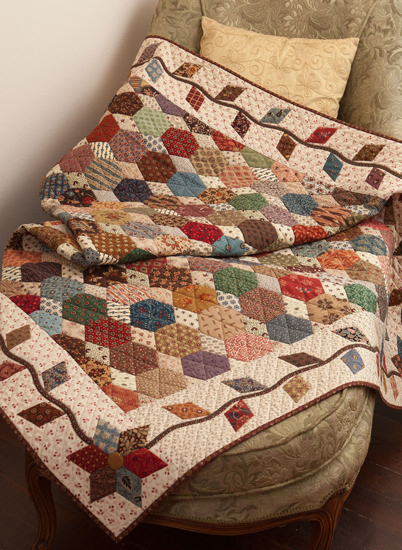 Hexagons, diamonds, and Dresden wedges are used, increasing the variety, and there's also a guide to the basic technique used to get you started. 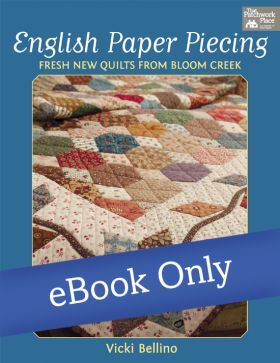 For those who love the look of English paper piecing but don't have the time to make a complete quilt using the time-honored technique comes this book that combines traditional paper piecing with applique. The 12 patterns are categorized by shape--hexagons, diamonds, dresdens and pentagons--and range from small wall hangings to bed quilts.